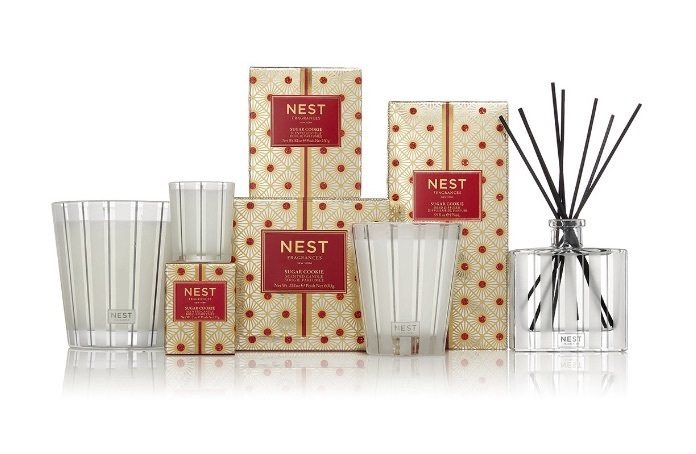 The newest fragrance to be added to NEST’s Festive Collection is simply delectable! Inspired by founder Laura Slatkin’s own recipe for a time-honored holiday favorite, the sugar cookie. 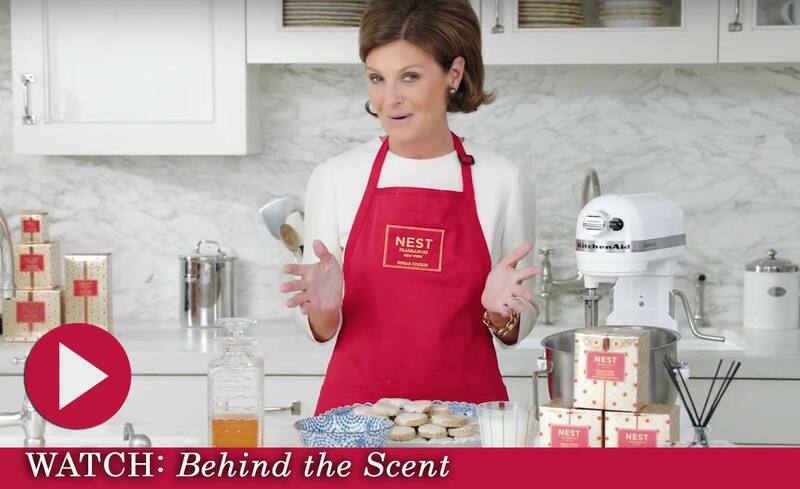 NEST’s newest fragrance is a confectioner’s dream. Sugar Cookie is a warm and cozy fragrance that mixes the warm flavors of Tahitian vanilla bean and bourbon-infused caramel with delicate threads of sugarcane crystals and the rich essence of golden amber. Wow! 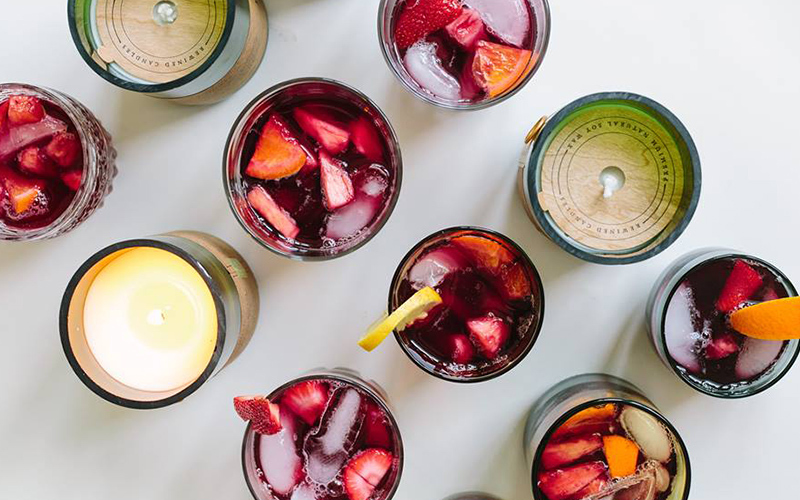 Of course, any fragrance produced by NEST (especially in their holiday collection) is produced with such thoughtfulness, that experiencing the fragrance is magical. While the buttery vanilla cookie is first to hit you when smelling this sweet scent, it won’t be long (especially when burning the candle) before you recognize warm fragrance notes of bourbon and amber. While I don’t usually enjoy heavy gourmand fragrances, this fragrance is such an true creation, I really do feel like the oven is full of tasty treats when burning this candle. 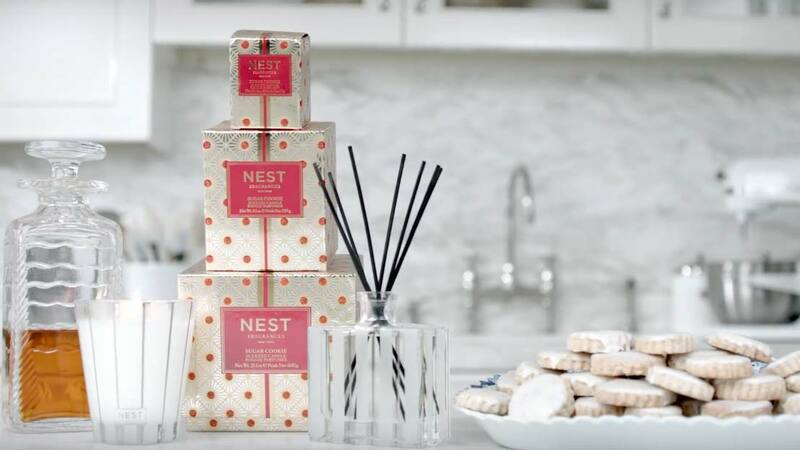 Sugar Cookie adds a gourmand element to The NEST Festive Collection, which also includes Holiday, Birchwood Pine and Hearth. And here’s some holiday help — Laura Slatkin’s Sugar Cookie Recipe is available online for you to try for yourself. Create a batch of these cookies to share at your next holiday gathering!